Today’s education news stories include reports of Ofqual announcing changes to its guidelines for appeals against exam results and figures published by the Office for National Statistics on young people aged 16 to 24 that are not in education, employment or training. On Thursday 26 May, exams regulator Ofqual announced changes to its guidelines for appeals against exam results. 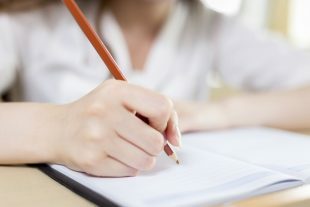 The new guidelines say marks should be changed only where the original mark “could not reasonably have been given” or where markers have “exercised their academic judgement in an unreasonable way”. The announcement has received widespread print coverage which leads on the point that as a result of the changes students are likely to find it harder to have their grades changed. Parents, teachers and young people must have confidence that the grades they receive are an accurate reflection of every pupil’s performance. The vast majority of the 16 million scripts marked every year are marked well, but Ofqual, the exams and qualifications regulator, has recognised there is room for improvement. We’re pleased Ofqual is taking steps to improve the process, leading to more transparency and better monitoring of the quality of marking. Our reforms will result in world class GCSEs and A levels and it is essential the grades students get reflect their efforts and achievements. The Guardian has reported on ONS figures which show that the number of 16 to-24-year-olds not in education, employment or training (NEET) had increased for a second consecutive quarter between January and March. The Government’s own figures, which unlike the ONS’s cover only England, found that NEET figures fell compared to the same period last year. The latest official statistics show we have the lowest proportion of 16-18 year olds NEET on record in England. We are investing £90million to transform the quality of careers education so young people are prepared for the world of work and our rigorous curriculum is helping to make sure they have the English and Maths skills they need to fulfil their potential. The latest NEETs statistics (October to December 2015) can be found here.